Brownville, Nebraska, (population 146) was founded in 1854 by Richard Brown. The town is situated on the Missouri River at the edge of the prairie, adjacent to the tree-covered, rolling Loess Hills of the Missouri River Valley. Designated a National Register Historic District, Brownville was a pioneering gateway to the opening of the West. The town boasts many “firsts,” including the first homestead claim in the nation and the first telegraph office and newspaper in Nebraska. Early economic development included fishing, shipping via riverboat and train, brick making, fruit orchards, vineyards, breweries, and agriculture. 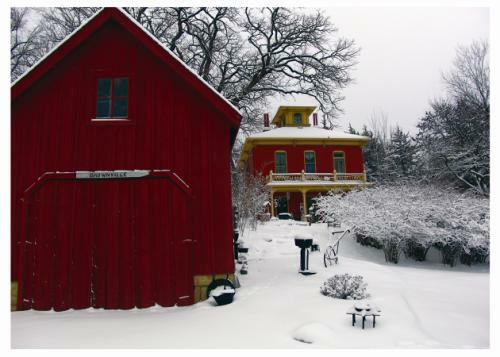 By the turn of the 20th century, Brownville’s economy had declined, but about 50 years ago it was rediscovered as a unique place for artists, summer homes, and tourists. Today Brownville’s historic preservation and cultural development attract visitors from across the nation and overseas. One of Brownville’s main attractions is the Lyceum, a complex of three brick structures, each with its own architectural style. The architectural gem in this group is a Greek Revival structure that was built between 1858 and 1859, with corbelled brickwork, columns, capitals, and entablature. The buildings’ exteriors have been restored, and today the Lyceum houses a restaurant, bookstore, and lecture facility. 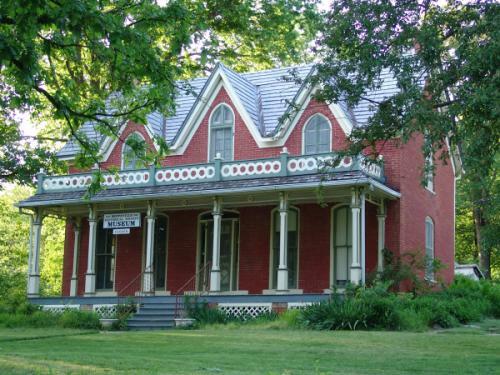 Brownville has five museums: the Governor Furnas House, the Captain Bailey House, the Carson House, the Wheel Museum, and the Meriwether Lewis Museum of Missouri River History. The last features the Captain Meriwether Lewis dustpan dredge, which was launched in December 1931 by the U.S. Army Corps of Engineers.